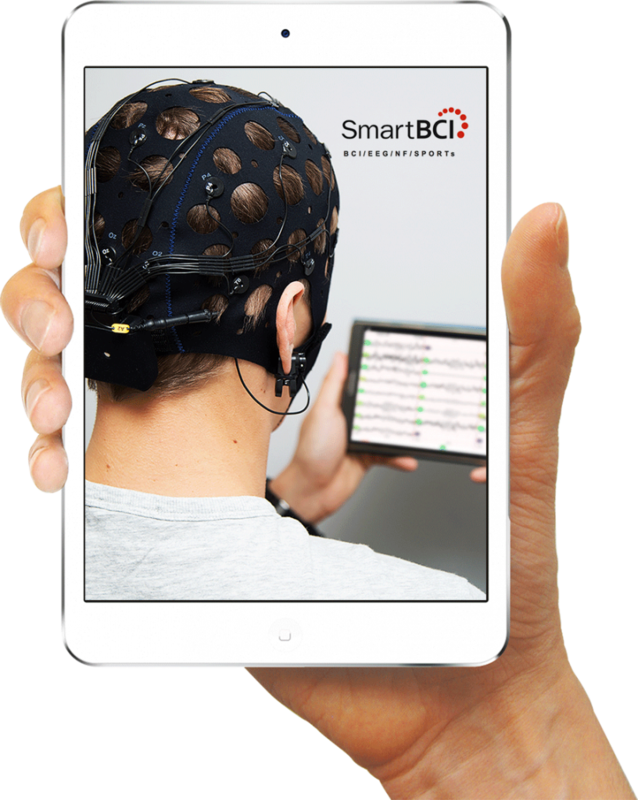 SmartBCI is a high-resolution wireless innovative solution of EEG, BCI and Neurofeedback, which has been designed for practical research applications and extreme EEG while at peak performance. Continuous monitoring with video capturing ideal for out-door and ambulatory EEG investigations. Wireless ultra-small & low-weight hardware for brain electrical activity recording. 21 Ag/AgCl scalp electrodes designed according to the international 10-20 electrodes placement systems. *Bluetooth, Micro SD memory card, and 24 channels. SmartBCI head box, 24 Ag/AgCl electrodes set, 2 ear clips adapters, elastic head caps (two different sizes at your choice), USB cable (for battery charge and data upload), ANDROID application for EEG acquisition. SmartBCI is a high-resolution wireless full-montage EEG system, which has been designed for practical research applications. 24-channel ultra-small EEG signal recorder with weight of 50 grams only and dimensions 65x50x15mm is attached to the head cap with 21 Ag/AgCl scalp electrodes designed according to the international 10-20 electrodes placement system. 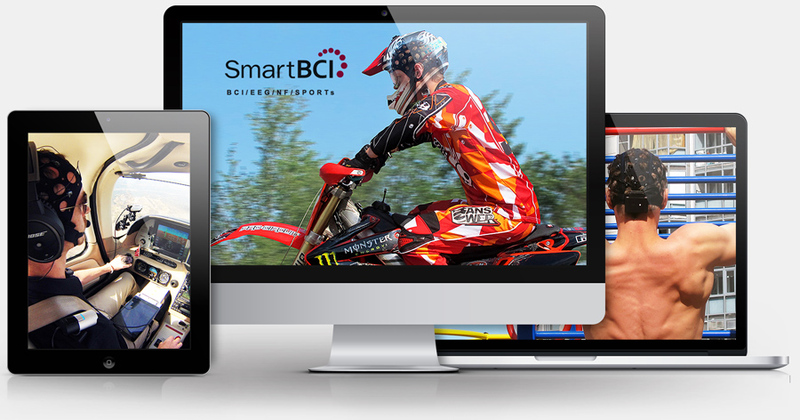 Get Your Smart BCI Purchase Quote Online Now! 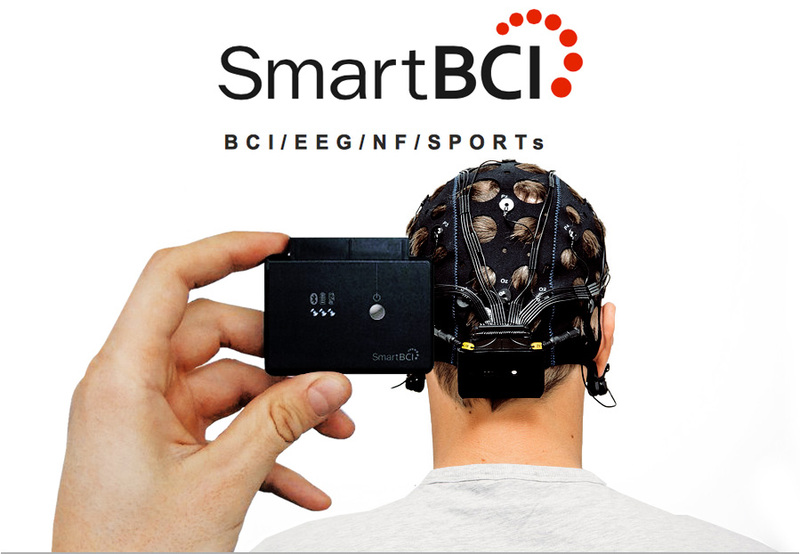 Smart BCI has revolutionized efficiency with its 12 hours continuous recording without recharging, software package for QEEG, BCI and Neurofeedback, and new cloud solutions for Dropbox and Google drive. Built-in accelerometer provides extra evidence for artifact detection algorithms and determines subject body position during EEG investigation. Real-time impedance measurement mode allows you to control and store electrodes impedance values while EEG acquisition. Any electrodes could be determined like a reference and changed online while EEG recording is running. Built-in 4 Gb microSD card for long-term ambulatory recording out of the lab. Simultaneous recording on internal memory and wireless EEG transfer via Bluetooth is available. Simultaneously video EEG monitoring of your subjects synchronized with raw EEG data. Application for Android running devices for impedance control and recording operation. Smart BCI provides device operation protocol free of charge for any third party software interface development. If you are interested in this service, please let us know when ordering. Andriod application that provides EEG recording operation, electrodes impedances control and data upload to remote server or cloud. Advanced research software for EEG and ERP record- ing and processing with simultaneous video monitor- ing of the subject. OpenViBE is a free and open source software platform dedicated to designing, testing and using brain- computer interfaces. Neurofeedback application monitors specific brain activities in real-time. Application for real-time signal streaming to third-party application via Lab Streaming Layer. "The ability to record EEG data in vivo during task is the holy grail for athletics." "Being able to record EEG wirelessly is essential to understanding our athletes while in the field. 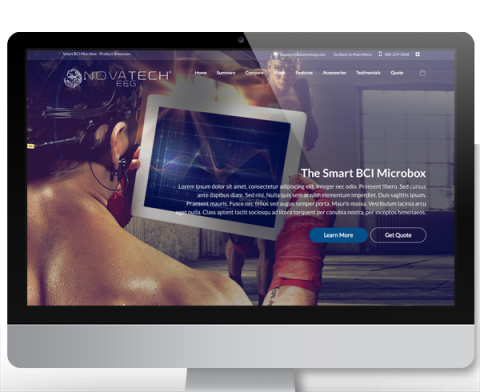 SmartBCI allows us to do just that." 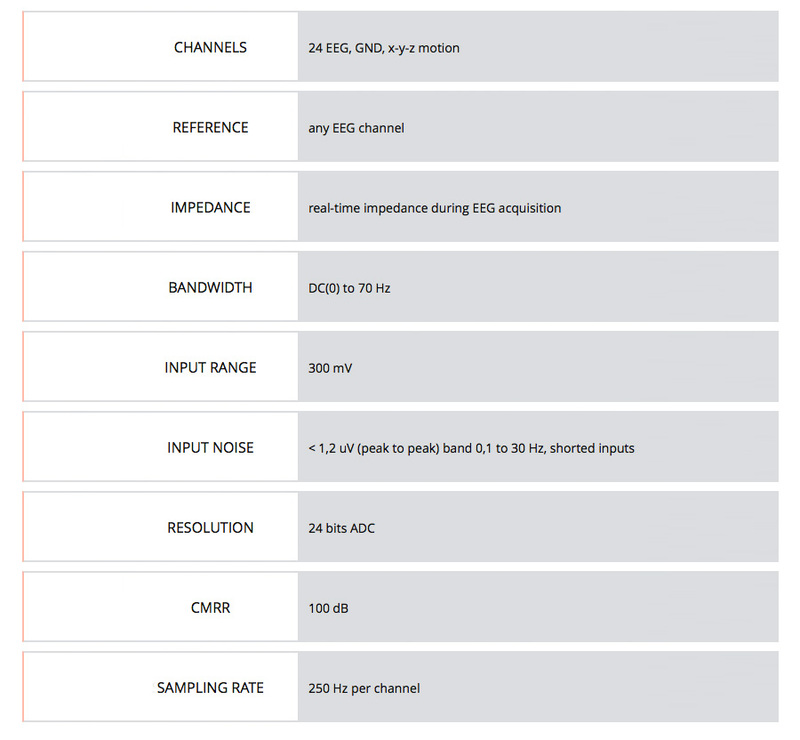 What Smart BCI Product Do You Want Pricing Information For?